You are here: Home / Home News / 2nd ANNUAL OLM SAINTS AND SCHOLARS GOLF TOURNAMENT DEEMED A SUCCESS! ANNUAL OLM SAINTS AND SCHOLARS GOLF TOURNAMENT DEEMED A SUCCESS! Close to 100 parishioners, school families and alumni came out swinging to the 2nd Annual OLM Saints and Scholars Golf Tournament. This year’s outing took place at the scenic Warwick Country Club on Monday, September 24th. The day began with lunch and registration, proceeding to a shot gun tournament start at 1 and wrapping up with cocktail reception and dinner at the club. 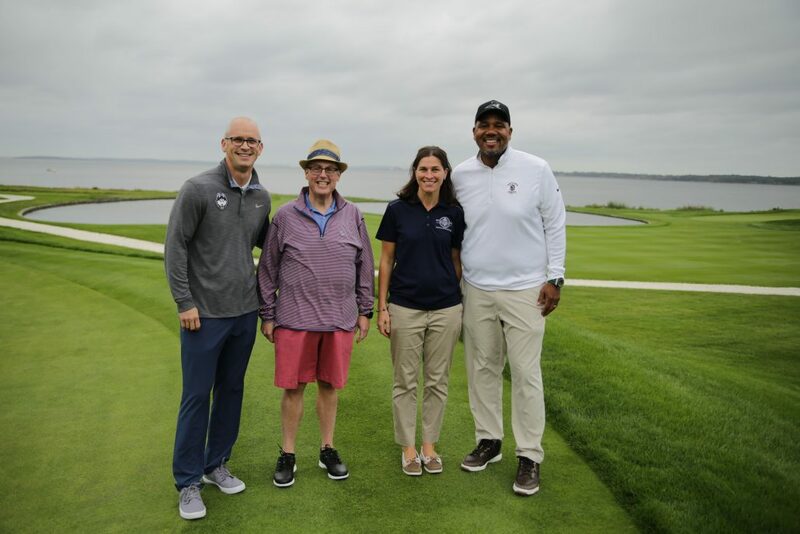 The event was a success due to many sponsorships and support of several retired priests as well as the commitment from the tournament board – Golf Tournament Chair, Mrs. Jaime Pedro; Honorary Chairs, Fr. Bernard A. Healey, Pastor of OLM and Mr. Scott W. Fuller, OLM School Principal. 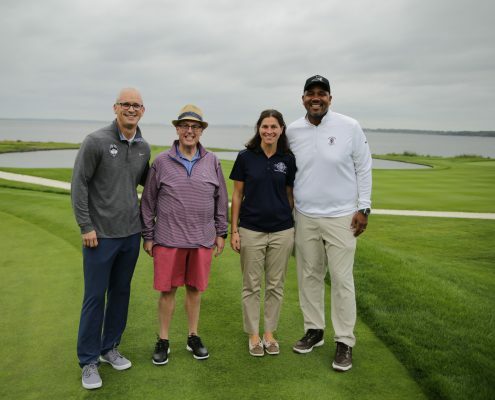 A special appearance was made by UCONN Basketball Coach Dan Hurley and PC Basketball Coach Ed Cooley. Winners of the Tournament were Nicholas and John Rocchio, Ed Cooley and Sean Cody with a 12 under par score. Hole in One Winner was Matt Giarusso. Proceeds from the tournament go to support the Our Lady of Mercy Saints and Scholars.